You will get answered to the following questions in this post. What are the requirements for foreigner business/ company in Nigeria? Can a foreigner own a company in Nigeria? What are the permit(s) I need to run my business in Nigeria? What about Tax issues, how do I go about it? Are their exemptions for foreign companies to register in Nigeria? What are the procedure for a foreign business to register in Nigeria? 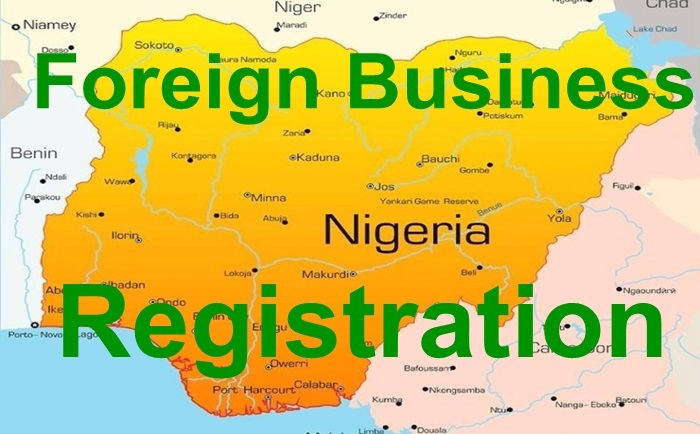 FOREIGN BUSINESS/ COMPANY REGISTRATION & RUNNING OF THE SAME IN NIGERIA REQUIREMENTS. A foreign company may open for business as a secondary establishment, such as an office, agency, branch or subsidiary in Nigeria. However, such company must fulfill certain legal requirements. The first thing to do is to register the business formally as described by the Companies and Allied Matters Act (CAMA) 2004. Before incorporation in Nigeria the foreign company can only have an address for the receipt of documents and other notices. Note: A foreign company or foreign national may not carry on business in Nigeria or exercise any of the powers of a registered company until so incorporated. iv) are engineering consultants and technical experts engaged in any specialized project under contract with any of the governments in the federation or any of their agencies. A foreign company may apply in accordance with Section 56 of the Companies and Allied Matters Act (CAMA) for exemption from incorporating a local subsidiary if such a foreign company falls within the following categories stipulated in the Act. Such categories include foreign companies invited to Nigeria to carry out a specialized duty by government among few others. Every other foreign company that does not fall within the categories mentioned above must incorporate a company before commencing business transactions in Nigeria. However, foreign company registration in Nigeria is one of the many steps required for a very entity to commence a business operation in Nigeria. Obtainment of Tax Identification number (TIN), VAT, and Tax Clearance Certificate. Obtainment of requisite license where the company intends to engage in a specialized sector that requires government agency’s approval or permit. Obtainment of Certificate of Capital Importation for equity or loan brought in for the business purpose. Having mentioned the steps and requirements that must be followed or obtained to establish a company in Nigeria, we would briefly highlight or detail some of the impotent features of the said requirements. The first requirement for a foreign company registration in Nigeria either for a foreign individual or corporate entity, willing to start a business in Nigeria is to register/ incorporate the business/ company in accordance with the provisions of the Nigerian laws. Foreign participation in business in Nigeria must commence with registration of a company with minimum of N10, 000,000 authorized share capital. That simply means the company must have at least 10,000,000 shares divided into 1 Naira per share. This is not the amount of money you (the foreigner) will pay. Authorized share capital is the number of stock units (shares) that a company can issue as stated in its memorandum of association or its articles of incorporation. However, in the absence of a second person to act as a director, a foreign individual or entity may engage the services of a local director or even shareholder in compliance with the provisions of the Act. As a foreign company, you need to have a Nigerian as a director or shareholder in the company. Registration with Federal Inland Revenue Service (fris) is for tax purposes. The Taxpayer Identification Number (TIN) registration. The Taxpayer Identification Number (TIN) is a unique number that identifies a specific individual (or company) for the purposes of paying taxes. As tax payment is mandatory for all individuals and companies in Nigeria, everyone needs to have a unique TIN. Click to read How to Obtain TIN in Nigeria? A Value Added tax (VAT) in Nigeria is a type of general consumption tax that is collected incrementally, based on the surplus value, added to the price on the work at each stage of production, which is usually implemented as a destination-based tax, where the tax rate is based on the location of the customer. It is about 5% in Nigeria which is almost the lowest rate in the world. Click to read How to Obtain VAT in Nigeria? What is Tax Clearance Certificate (TCC)? Tax Clearance Certificate (TCC) in Nigeria is an important document issued by Federal Inland Revenue Service (FIRS) or States Inland Revenue Service showing that applicant’s tax affairs are in order. TCC in Nigeria is necessary for various corporate transactions by both individuals and corporate organizations in Nigeria. Click to read How to Obtain Tax Certificate in Nigeria? Furthermore, registration with Nigerian Investment Promotion Commission (NIPC) is vital. The Nigerian Investment Promotion Commission (NIPC) is Federal Government Agency in Nigeria established by the NIPC Act to promote, co-ordinate and monitor all investments in Nigeria. The basic functions and powers of the NIPC are as prescribed by Act. The Commission among other things, to co-ordinate, monitor, encourage and provide necessary assistance and guidance for the establishment and operation of enterprises in Nigeria, initiate and support measures which shall enhance the investment climate in Nigeria for both Nigerian and non-Nigerian investors among others as well as perform such other functions as are supplementary or incidental to the attainment of the objectives of NIPC Act. Registration with the NIPC is a major prerequisite for a business permit. A business permit is issued by Ministry of Interiors and allow individuals or companies to conduct business within the government’s geographical jurisdiction. It is the authorization to start a business. A business permit is an operational and permanent permit for the local operation of a business with expatriate investment either as a branch or subsidiary of a foreign company or otherwise. Pursuant to Section 36(1)(a) and (b) of the Immigration Act (2015), and Paragraph 4 of the Immigration Regulations (2017) no person other than a Nigerian citizen shall, on his own account or in partnership with any other person, practice a profession or establish or take over any trade or business whatsoever or register or take over any company with limited liability for any purpose without the written consent of the Minister of Internal Affairs. The consent of the Minister of Internal Affairs is issued in the form of Business Permit. This business permit is required for wholly foreign owned companies. Permanent Until Reviewed (PUR), which is usually granted to the Chairman of the Board of a company or the Managing Director. It is permanent until a need arises for its review. The quota position attaches to a particular post or position. Therefore, the same quota can cover different persons. The laws guiding immigration processes in Nigeria are the Immigration Act 2015 and the Immigration Regulations 2017, issued by the Honourable Minister of Interior Lt. Gen Abdulrahman Dambazau (retired). The key objective for issuing the Regulations is to create a legal framework for the implementation of the Immigration Act 2015. The Comptroller General of the Nigerian Immigration Service (CGI) issues residence permits to immigrants that intend to reside in Nigeria. The Immigration laws provide that residence permits, otherwise known as the Combined Expatriate Resident Permit and Alien Card (CERPAC) may be granted for a maximum period of two years. CERPAC is required for expatriates resident or working in Nigeria. This therefore confirms that an expatriate can obtain a residence permit valid for two years. The CERPAC CARD is a document, which allows a foreigner to reside in Nigeria and carry out business as specified in the permit, or to accompany a resident or citizen of Nigeria as a dependent. Every CERPAC must be submitted for renewal after the two years expiration. However, the validity of a residence permit is subject to the validity of the expatriate quota. Valid residence permits can also be used for reentry into Nigeria. It is worthy of mention that the date endorsed in the passport is the effective date for re-entry purposes and not the date on the Combined Expatriate Resident Permit and Alien Card (CERPAC) temporary receipt. With regards to an Investment visa, the Regulations provide that a foreign national that imports a minimum ‘threshold of capital’ over a period of time may be issued with a permanent residence permit (PR). However, this investment PR is subject to revocation upon withdrawal of investment from Nigeria. This is an approved visa endorsement authorizing an immigrant to enter Nigeria in order to perform a specific job within a specified period of time. TWP are usually issued for a period of 3 months. The Comptroller of Nigerian Immigration Service must approve all TWP cable visa. This visa is required from a foreigner who wishes to take up business in Nigeria. Subject to Section 33 of the Immigration Act, prospective employer must write to the Comptroller General that he has a slot on the expatriate quota. The employer applies to the Nigerian Embassy or Consular office at the country where the employee resides. Upon his arrival in Nigeria, he would be granted a residence permit. STR visas are valid for 90 days without reference to the Comptroller General provided that the applicant provides specified documents. By virtue of Section 54 of the CAMA, every foreigner seeking to do business in Nigeria must register his business/ company except his company falls within the purview of Section 56 of the CAMA, which deals with the exemption of some foreign companies from incorporation. Foreign company registration in Nigeria is slightly different from the domestic company incorporating in Nigeria, because an authorized share capital of any foreign companies operating in Nigeria must less than N10,000,000 (Ten Million Naira).